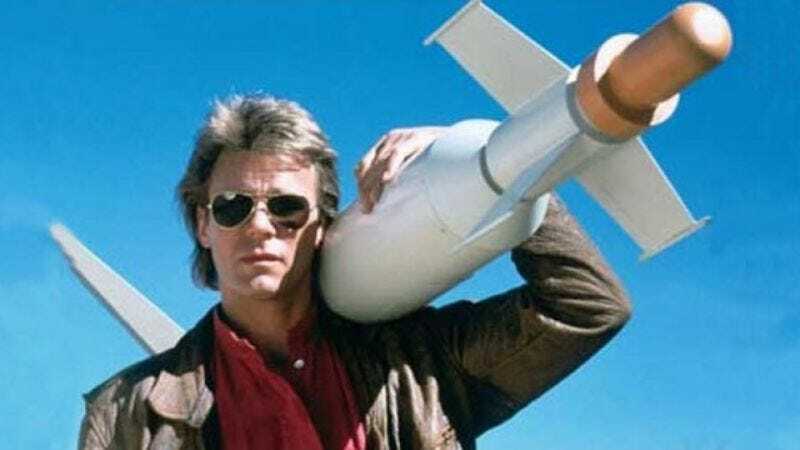 Because sometimes the high-octane thrill of exploiting physical sciences requires the biggest screen possible, Lionsgate has announced that, in addition to the new MacGyver reboot that CBS just ordered, there will also be a MacGyver movie. According to Variety, Lionsgate CEO Jon Feltheimer discussed both the new show and the film during a recent earnings call with analysts. He provided few details about either project, but there was a general understanding that a Swiss Army knife and duct tape were the only things necessary to make them successful. Feltheimer did reveal that the movie would be produced by series creator Lee David Zlotoff and Neal Moritz, producer of the Fast And The Furious franchise. Beyond that, news outlets can only speculate. But since the show will serve as a prequel to the original TV series, and since both the new show and movie are under the Lionsgate umbrella, it’s a safe bet to assume the two projects will work in tandem to re-introduce the character to younger audiences, who will only then realize that MacGruber is actually a parody. Whether the film is good hardly matters, considering that thirtysomethings will buy tickets just to be ironic, leading to a spike in MacGyver T-shirt sales at Urban Outfitters. Instead, making it as good as the 1994 made-for-TV classic MacGyver: Lost Treasure Of Atlantis is the real challenge.